Skyline Las Vegas offers Skyline trade show displays and event exhibits to match any size and budget, ranging from pop-up banner stands, tabletop displays, and portable booths to modular inline exhibits and large-scale island exhibits. 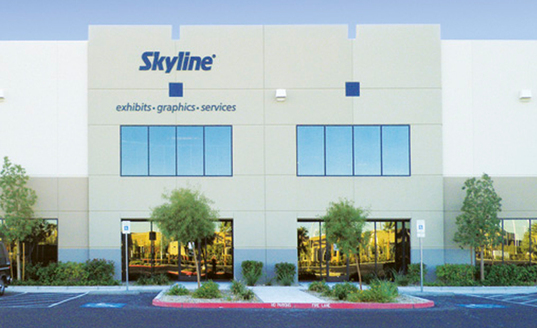 Located ten minutes from the Las Vegas Convention Center, the Skyline Las Vegas Sales Office and Service Center is part of the global Skyline network ready to provide exhibitors first class worldwide service and support with trade show professionals in more than 130 dealers in over 30 countries. Exhibit rental, graphics, and service support is available from Skyline Regional Service Centers in major venue cities, including Las Vegas. Whether you are traveling from abroad to exhibit in the Entertainment Capital of the World, or are lucky enough to reside here, our experienced Exhibiting Consultants will ensure your show or event goes off without a hitch! Our expertise and focus are to help improve your company's trade show marketing program. Come to us with a basic idea and we will listen to your exhibiting needs and do whatever we can to make your vision a reality. Christina's 20+ years with Skyline continually provides her customers with a wide range of experience, all focused on helping them achieve their business goals. 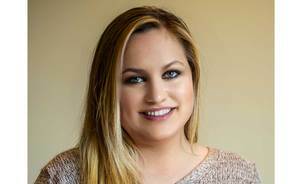 Her attention to detail and constant consideration of her customer's needs, implementation, and post-sales support process creates excellent, lasting relationships with her customers. Her energy and positive attitude are contagious, ensuring your experience with Skyline Las Vegas will always be a great one! 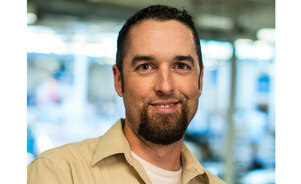 In his 10+ years at Skyline, Chad has picked up valuable experience in Customer Service, Sales, and Project Management. With this and a background in Communication Art & Design, Chad has a well-rounded understanding of what it takes to make sure the client has a stand-out experience. Erica started her career with Skyline as a Project Manager providing her with a great foundation of trade show knowledge. Understanding the products for function and design has led Erica to finding her passion in helping companies create an exhibit that meets all of their needs. With her marketing degree she enjoys bringing brands to life. Her enthusiasm and tenacious drive ensure your show will be the best ever! Exhibiting Products that are so easy... It's like magic! Skyline Las Vegas is your exclusive source for Skyline® WindScape®, the First Air-powered Exhibit System in the World. Stress-free exhibiting is now at your fingertips. Simply unpack, connect the hose and push a button...minutes later your exhibit will be up and looking great. With Skyline Las Vegas, exhibiting is so easy...it's like magic! Want to get in touch with Skyline Las Vegas right away?